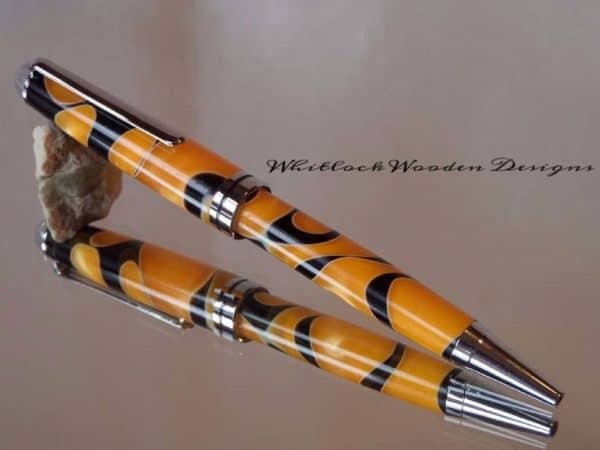 A European orange & black pen hand turned on a woodturning lathe in the classic European style. 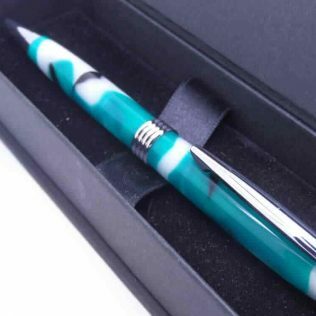 The pen has a smooth twist mechanism with a high-quality chrome plated trim looking similar in design to some far more expensive. 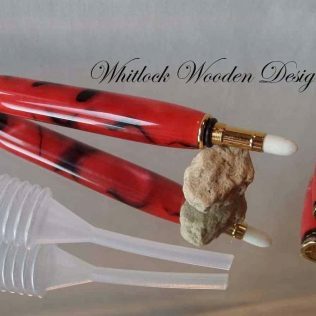 Pen barrels hand crafted from a resin made for pen turning. The colours in this one orange and black with some pearlescent shimmer. 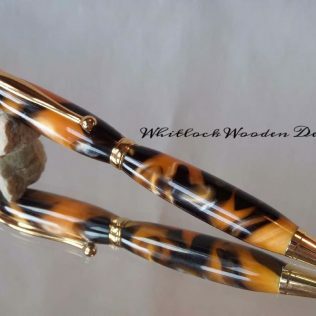 The pen blank is cut to size for the pen and then drilled with an appropriately sized hole, this is then mounted on my lathe and turned, shaped to round. 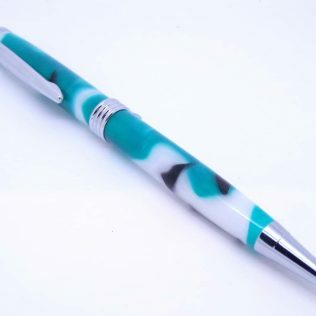 The resin needs sanding from 120 grit through to 12000 grit for a high gloss finish. 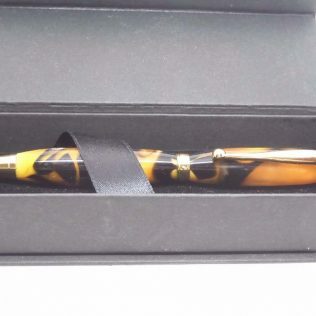 The pen uses a black cross type medium ball point refill available from any good stationery suppliers. 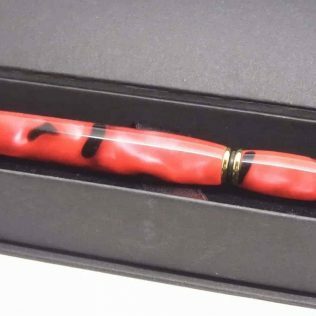 All my pens come with a free presentation box as standard. 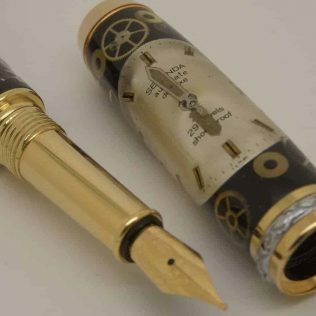 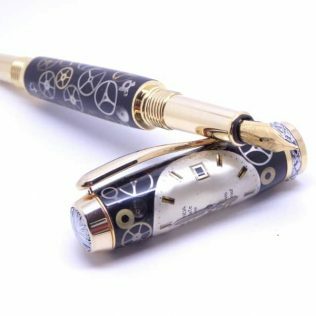 These pens make great gift ideas and unique handmade Christmas or Mother’s Day gifts.